Today Bloomberg News published a story headlined: “Wells Fargo Is the Go-To Bank for Gunmakers and the NRA.” Yesterday West Hollywood Mayor John Heilman attended the formal opening of Wells Fargo’s fourth location in WeHo, along with the WeHo-headquartered Gay Men’s Chorus of Los Angeles, which sang happy songs and took a check for $2,500. What’s ironic is that Heilman had joined the rest of the City Council members on Monday in voting for a resolution calling for the federal government to take action on gun control. Given Wells Fargo’s well-documented history of corrupt behavior in recent years, and now the revelation that it provides financial backing for gun manufacturers and the NRA, the question is: Why won’t the Gay Men’s Chorus of Los Angeles, and the City of West Hollywood, stand up to, and not up for, Wells Fargo? As WEHOville has previously reported, at a City Council meeting on Feb. 20, Councilmember John Duran, who is the chairman of GMCLA, gave an impassioned speech urging the City of West Hollywood to continue its banking relationship with Wells Fargo when its contract with the city expires on March 3, 2019. That’s despite the bank admitting to have ripped off millions of customers in recent years. Duran’s argument is that Wells Fargo deserves our support because it has donated a lot of money to LGBT causes over the years. The GMCLA website until recently listed Wells Fargo as one its major donors. The City Council at that meeting declined to add to its requirements for a banking partner a minimum “satisfactory” rating from the Office of the Comptroller of the Currency, which last year in an unprecedented move revoked Wells Fargo’s “outstanding” rating and replaced it with “needs to improve.” That means Wells Fargo can apply to have its contract with West Hollywood renewed. 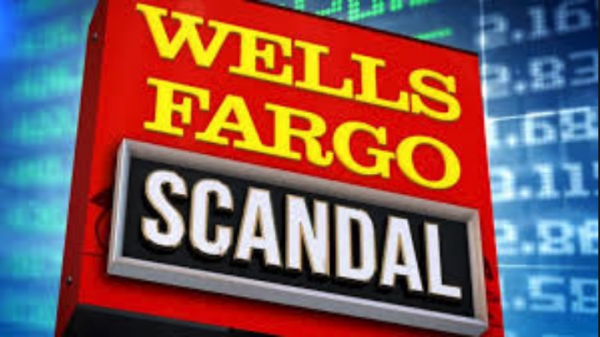 That is despite the fact that Wells Fargo has ripped off so many people over the last few years that it’s becoming hard to keep up with the scandals. A story on CNN’s Money website helps. It starts with the revelation in September 2016 that Wells Fargo had pressed workers to open fake accounts in the names of 850,000 clients. (By 2017 that number had grown to 3.5 million accounts.) Wells Fargo was fined $185 million, and its settlement of a class action lawsuit required an additional payout of $142 million. But given that a lot of that money went to the lawyers representing the defrauded customers, they aren’t likely to get the payback they deserve. Also in September of 2016, it was revealed that Wells Fargo illegally repossessed 143 cars from military personnel. The bank agreed to pay $24 million to settle that charge. In January 2017 Wells Fargo acknowledged that it had retaliated against employees who tried to blow the whistle on its corrupt behavior. In June the bank was accused of modifying mortgages without the knowledge of its customers, meaning some may have been paying more than they were supposed to. In October, Wells Fargo also confessed to improperly fining 110,000 mortgage holders for missing a deadline, which turned out to be its fault. And in October federal regulators said the bank had to pay back $3.4 million to customers of its brokerage firm whose brokers had recommended bad investments to their clients. In November, Wells Fargo upped the number of cars it admitted it had illegally repossessed from military personnel to 450 instead of the 413 it said earlier and agreed to add $5.4 million to its payment to them. Goldman Sachs estimates the damage those repossessions caused to the soldiers’ credit ratings means they will be paying out $5 million more in interest fees than they would have with their previous credit ratings. In 2018, the Federal Reserve, in an unprecedented move, said Wells Fargo would not be allowed to expand until it fixed its corrupt practices. And then there’s today, when Bloomberg reports that Wells Fargo “has helped two of the biggest U.S. firearm and ammunition companies access $431.1 million in loans and bonds since December 2012, when the gun control debate gained steam after the school shooting in Newtown, Connecticut, according to data compiled by Bloomberg. That puts it on the top of the list of banks arranging funding for gun makers. –Put on the City Council agenda a resolution condemning the illegal behavior of Wells Fargo and its funding of gun manufacturers and the NRA and declaring that it will not renew the bank’s contract. If it can denounce the dog meat market in Yulin, China, and a discriminatory University of North Carolina dormitory policy, it can take time to address Wells Fargo. –Enact a law barring City Council members or senior city officials from serving on the boards of non-profits, which effectively would require John Duran to resign as chair of GMCLA. It’s worth noting that GMCLA’s benefactors also include Athens Services, which had its contract with WeHo (worth an estimated $150 million) extended for 15 years by the City Council without putting it out to bid. And GMCLA also is the recipient of donations from the Charles Group, the developer behind the Melrose Triangle project. Duran argues that his City Council position isn’t a factor in donations from Athens, a La Puente-based trash hauler. That’s a difficult argument to buy, and proving otherwise isn’t easy. But no one can deny that the optics are dingy. Yes, there others who, like Duran, argue that we should love Wells Fargo because it gives money to LGBT causes. But they should note that Bernie Madoff was known for his charitable contributions to Jewish non-profits. However the Jewish community didn’t stand up for a man who engaged in one of the biggest Ponzi schemes in history. So why should West Hollywood and its gay community stand up for Wells Fargo? Opinion: What’s My Motivation for Running for West Hollywood City Council? I wish people would stop attacking the banks. It doesn’t just hurt the 1%. I have accounts with Wells Fargo, and I don’t want to see my retirement money evaporate. Things are not as black-and-white as some of you want them to be. I sent this article to Mr Duran, but did not hear back from him. I used to enjoy this site, but the sensational hatred and opinionated “news” articles regarding Wells Fargo is really starting to turn me out off. It’s almost like Wells Fargo has turned down advertising on this site, and you have a vendetta against them. They have made plenty of mistakes, but they are working hard to fix the legacy issues. As for the NRA, I do hope that they rethink the relationship. That being said, Wells Fargo is a national bank that serves many rural communities where guns for hunting and sport is part of the dna. Because the federal government won’t make the hard decisions, the only thing I can hope is that corporate citizens will continue to step up and do the right thing (note that banks can’t just walk always/call a loan as they have made a contract with the organization to make a loan for a set amount of time). The Suits of Wells Fargo joked about fake accounts. This is one of the reason’s I am running for Council. There is to much pay for play. The web of relationships and conflicts and connections to sources of money becomes more mind-boggling by the day. How can one tiny hamlet have so many “appearances” of impropriety? One sad contributory factor is that with roughly 25,000 registered voters, a typical election has a voter turnout of approximately 25%, and a candidate can “win” with only 10% of registered voters casting their ballots for that candidate. Sad and pathetic that we allow this corruption through our own civic inaction. The incumbents all rely on this apathy to further ensconce themselves in these plum positions. I don’t agree that Councilmembers should not be able to be on the board of non-profits, or run them (Abbe Land ran The Trevor Project, and before that, the Saban Free Clinic, while she held office). Non-profits do great things for communities, and I don’t think city leaders should not be able to be involved with them. What should be in place are some type of ethics rules, or rules regarding conflicts of interest. This certainly falls into the category of a conflict of interest. As does the deal with Athens. I remember reading about the controversy surrounding the commission appointments. So, then, where (and how) do we draw the line? I still maintain that associating oneself with a non-profit doesn’t, in itself, mean there is a conflict of interest. In this situation, yes. But I don’t think its good to take a hard-line stance of not allowing Councilmembers or city officials to be part of a non-profit. Non-profits usually benefit their communities. I think it usually shows a mark of character to be involved with one, especially if you aren’t being paid for your time. Where is the FBI to investigate John Duran and his endless conflicts of interest? As for Wells Fargo, one of their so-called professionals opened an account for me along with a credit card. I went into the bank and said close it or I will sue you. They hesitated and I contacted a WF VP I knew in San Francisco from a charity connection. They closed the account and apologized in writing. This is a very corrupt institution like so many things in the United States. Corruption is just now the norm. But should it be the norm in West Hollywood?